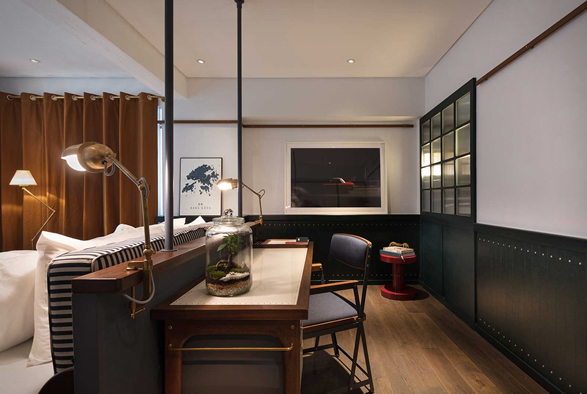 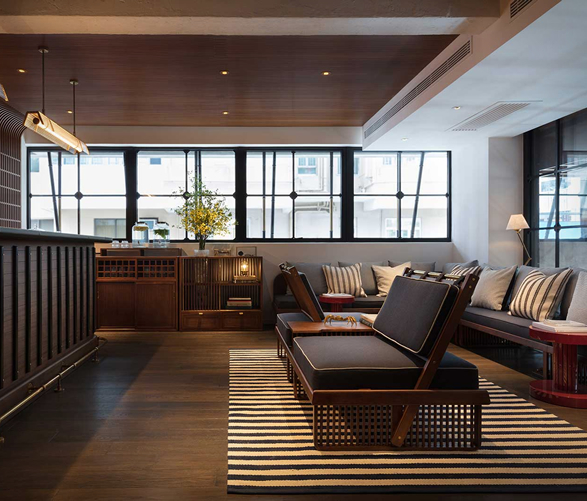 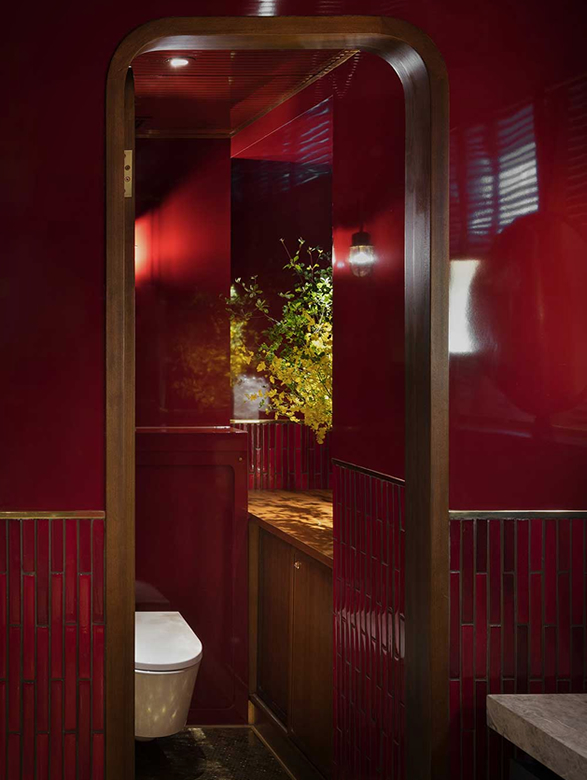 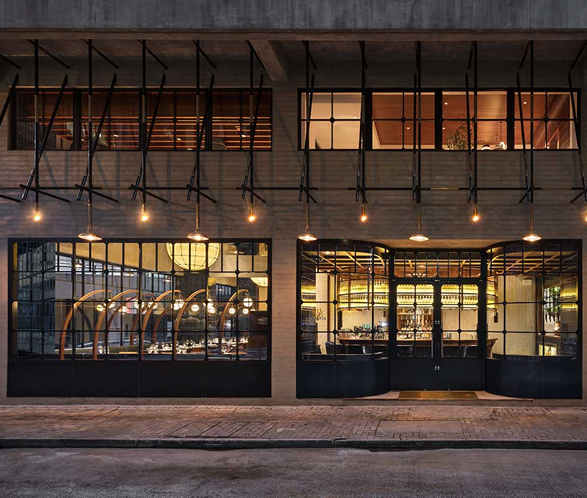 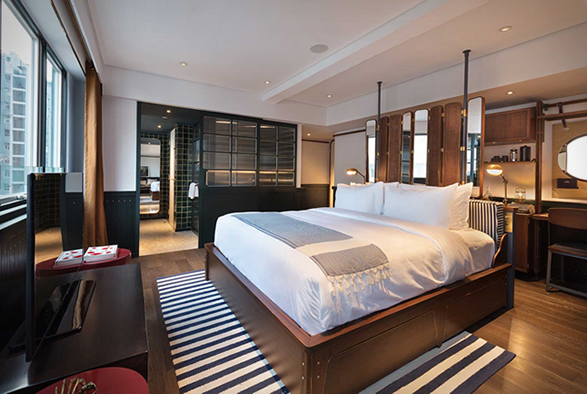 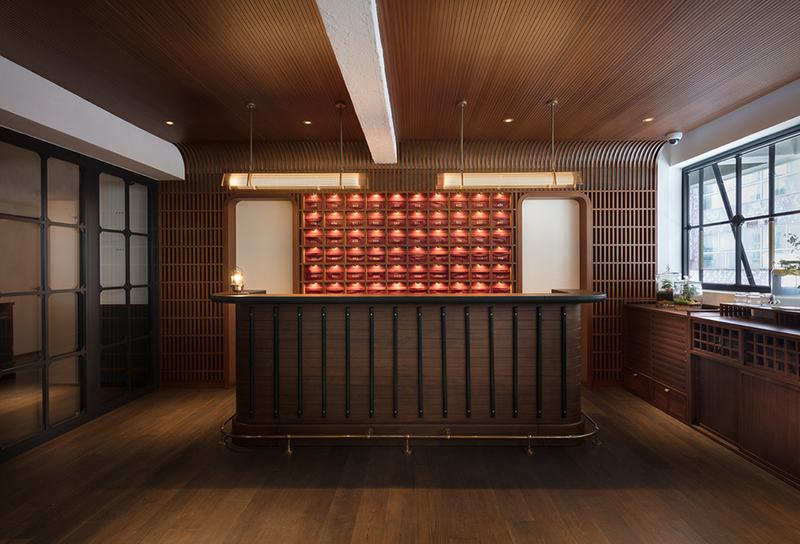 Located in the legendary nightlife district of WanChai, this independent boutique hotel in Hong Kong has had a complete overhaul, and boy does it look gorgeous. 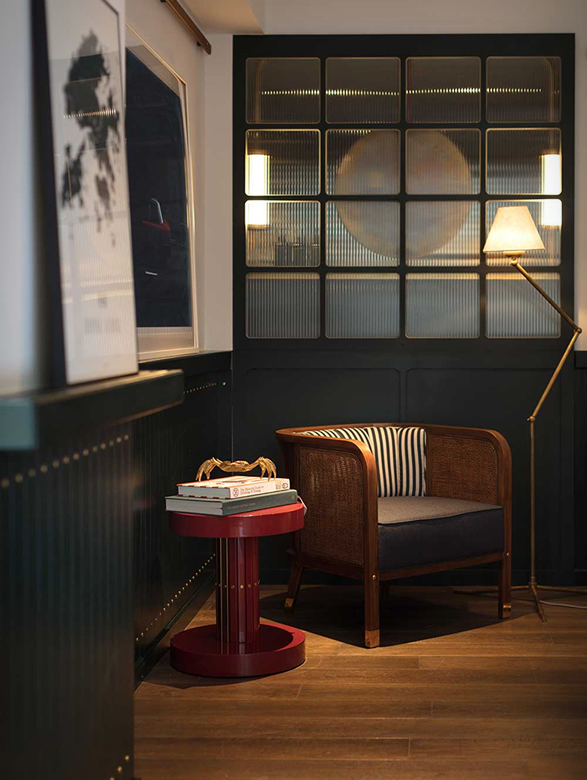 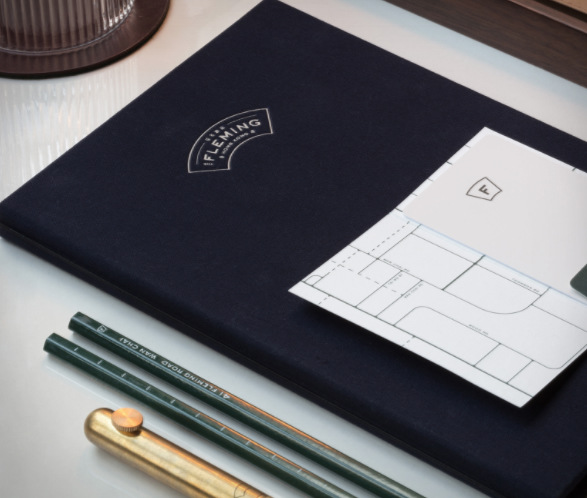 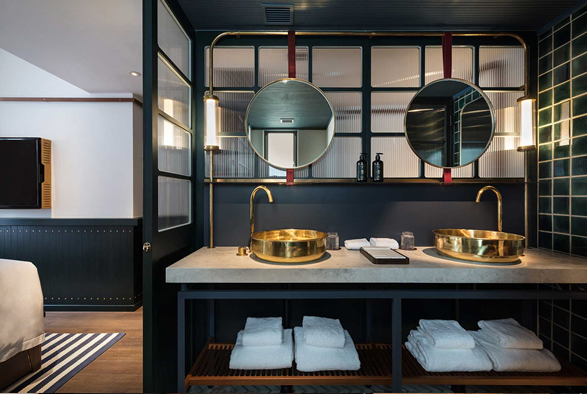 With help from the creative minds of design firm "A Work of Substance", the hotel has totally been restyled, paying tribute to the city´s maritime history. 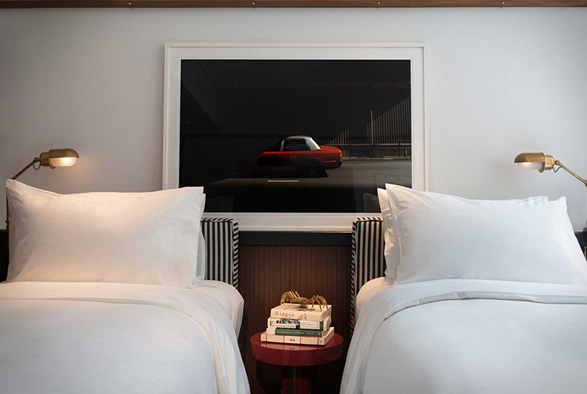 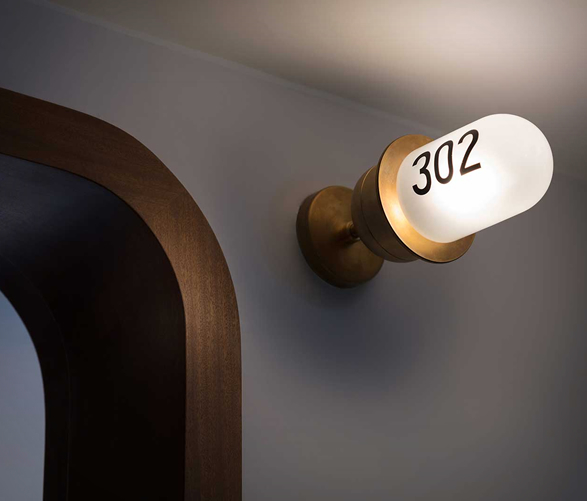 The Fleming Hotel recreates the art deco aesthetic that was prevalent from the 1930s to 60s in ships and aircraft, and also in city skylines. 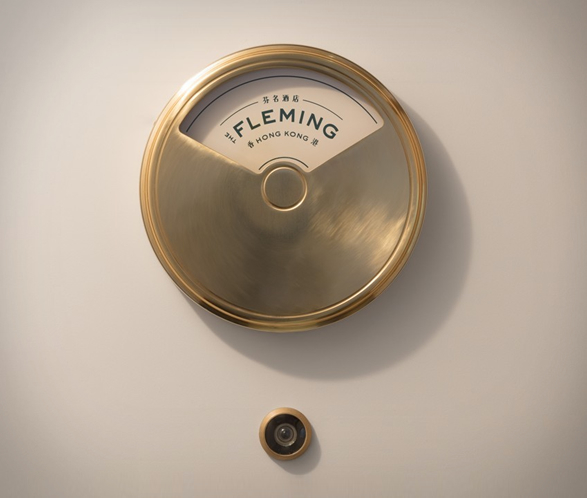 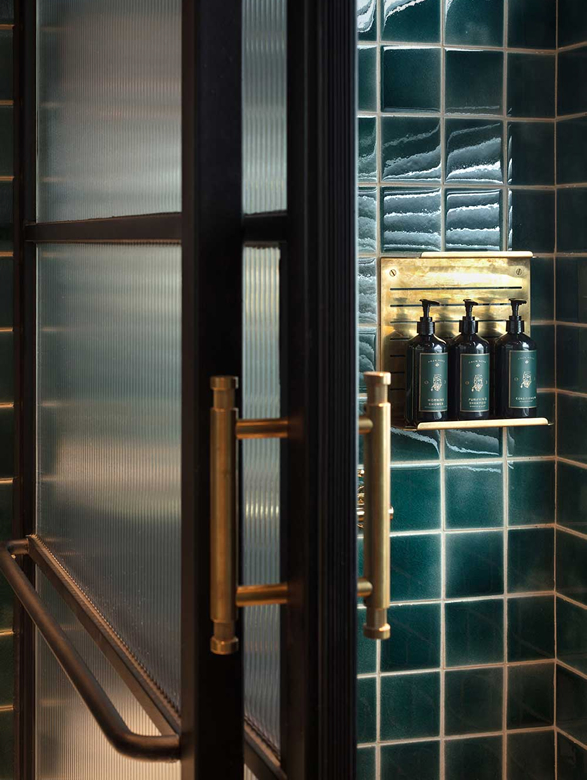 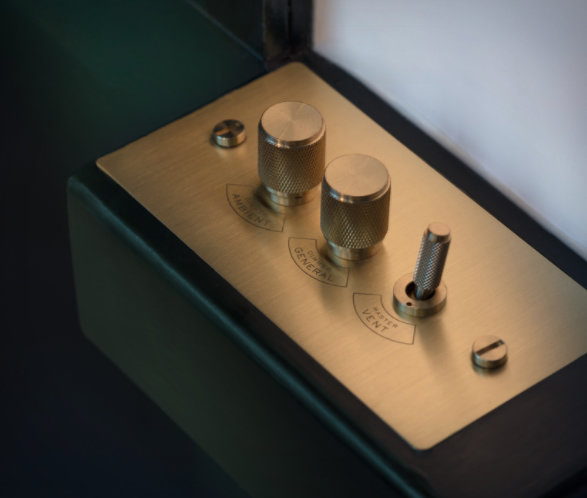 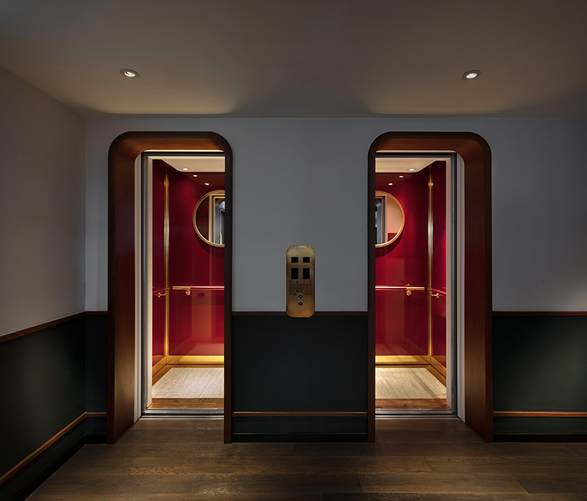 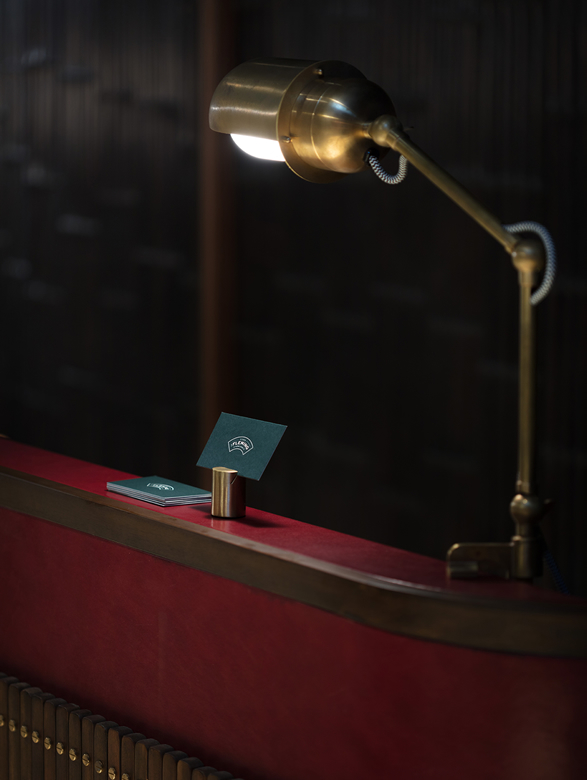 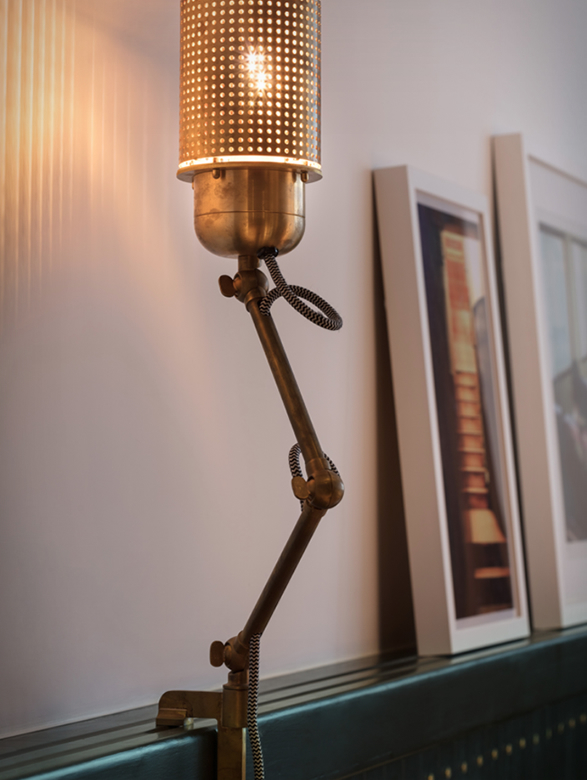 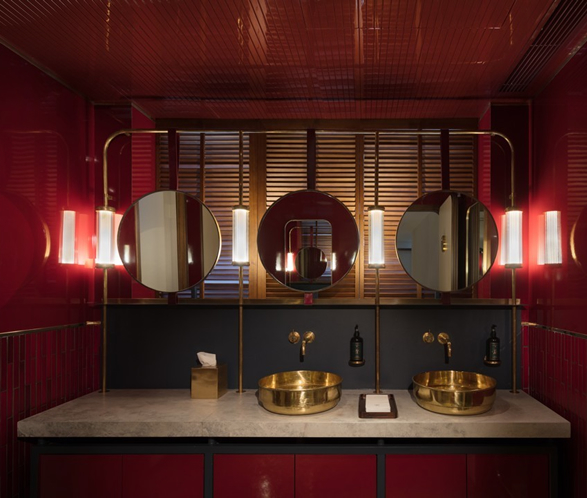 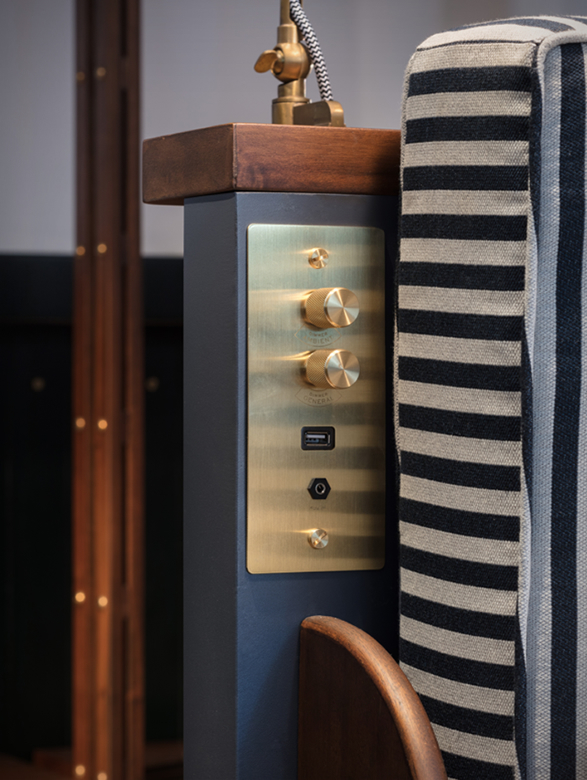 Brass has been widely used through the hotel fixtures and combined with a retro palette of navy and bottle green hues, with dials, levers and buttons lending an idiosyncratic touch to custom light fittings and control panels. 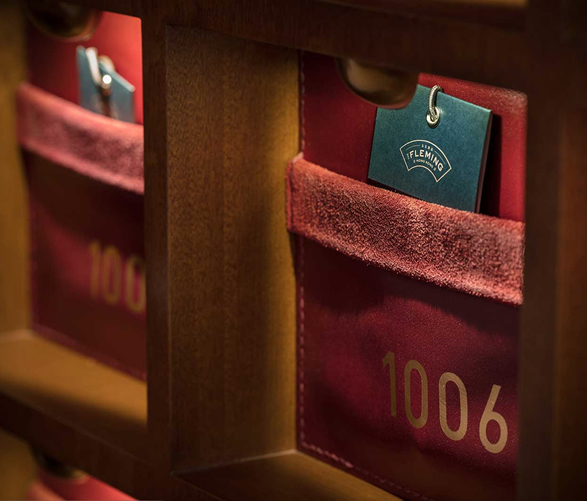 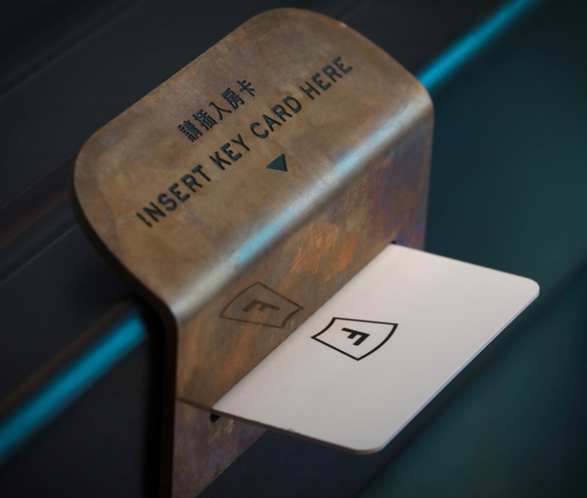 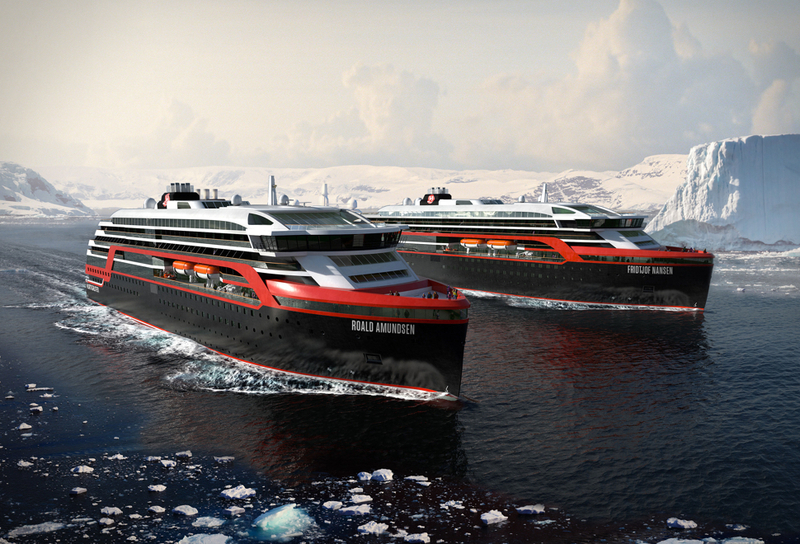 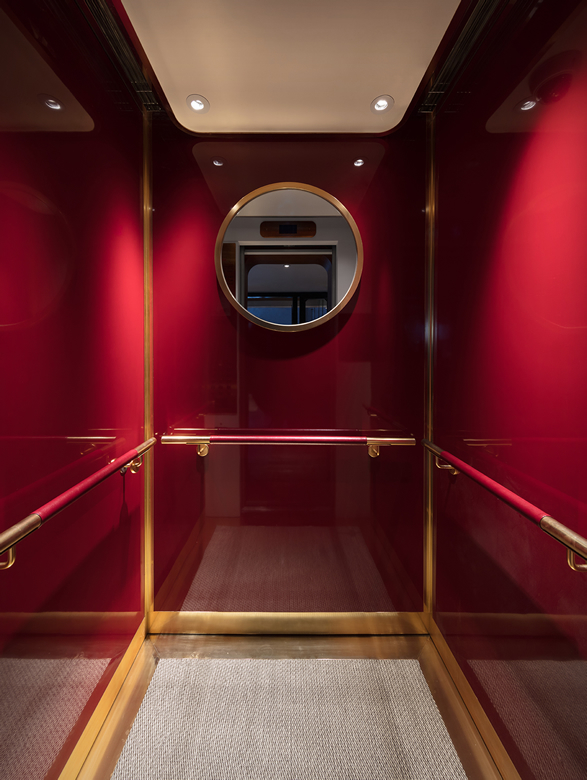 All 66-rooms are ship cabin-inspired, with wooden panels on the walls, round edged accessories and retro details, plus stationery resembling navigation tools, apothecary-inspired toiletries, and a brass set of cutlery. 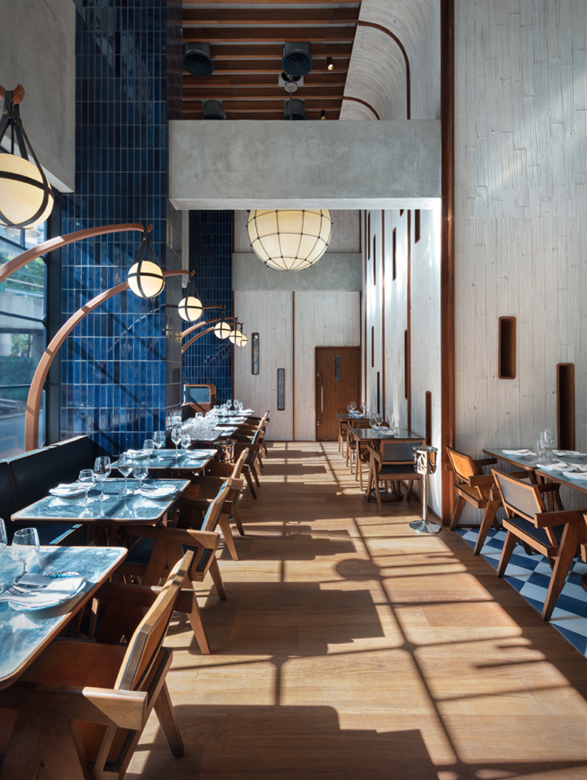 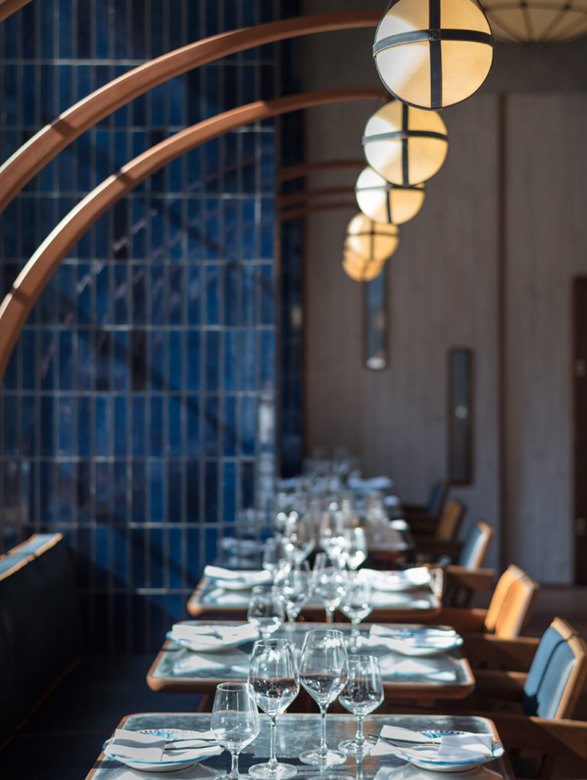 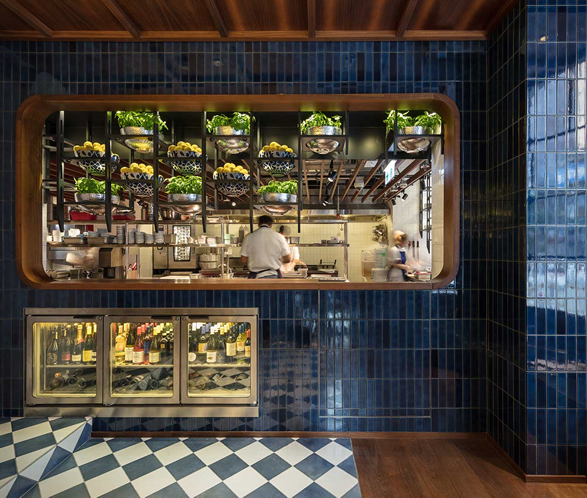 On the ground floor, the restaurant is a coastal Italian eatery that extends the hotel´s maritime feel in blue and white.